Far more people than this visit each year, attracted by the beautiful beaches and lagoons, diverse watersports, vibrant nightlife, archaeological sites and picturesque harbour towns. 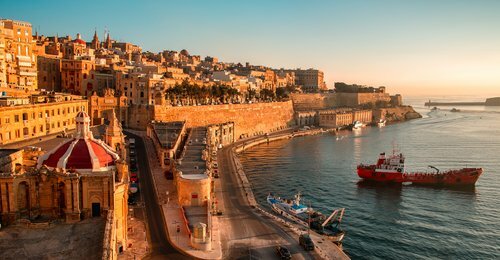 Malta boasts three UNESCO World Heritage Sites: the historic capital city Valletta, the seven megalithic temples and the hypogeum (a prehistoric underground structure). 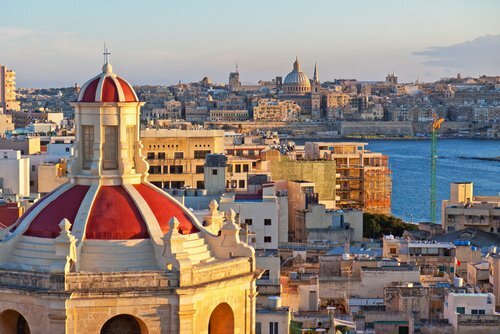 Valletta is also preparing to take on the mantle of European Capital of Culture in 2018. Most of the colleges and universities in Malta are clustered around capital Valletta, on the north-east coast of Malta Island. The largest of these is the University of Malta, a publicly funded university which has around 11,000 students, including about 700 international students. The university’s main campus is in the harbour area of Msida, just to the west of Valletta. There’s also a smaller campus in Valletta and another on Gozo, the second largest of the Maltese islands. The public university system in Malta also includes the Malta College of Arts, Science and Technology in Paola (just south of Valletta) and the Institute of Tourism Studies in St Julian’s (to the north-west). Along with the University of Malta, all of these participate in the EU’s Erasmus exchange program and the Bologna Process for compatibility of higher education across Europe. The official teaching language is English, though international students are also encouraged to learn Maltese. There are also a number of private colleges and universities in Malta, of which the latest addition is an international branch campus opened by the UK’s Middlesex University, in the Pembroke area (again, just to the north-west of Valletta). Welcoming its first students in September 2013, the campus is offering an initial selection of courses focusing on business, finance and ICT. For students who want to develop their English language level, Malta is also home to a large number of English language schools. Malta may be small, but it’s also packed with things to see and do. The country’s thriving tourism industry has spurred on the development of its lively nightlife and cultural scenes, as well as a wide range of outdoor pursuits, from tennis and golf to paragliding and snorkelling. So, living in Malta promises to be anything but dull! With a Mediterranean climate similar to that of southern Italy or Greece, the weather in Malta is one reason for the country’s popularity with tourists. During summer, daytime temperatures are typically above 30°C (86°F) and in winter not usually lower than 15°C (59°F). The hottest months are June to September, and the coldest time of year is from December to March. Again Mediterranean in character, Maltese food is similar to that of neighbouring island Sicily. Fresh fruit, vegetables, pasta and seafood are all key elements. Traditional dishes include rabbit stew, fish pie, bragioli (stuffed beef), and bigilla (a thick bean dip). Popular for snacking are pastizzi (savoury pastries) and ħobż biż-żejt (traditional sourdough bread with olive oil, tomatoes and a mix of other toppings). There are also lots of restaurants specializing in cuisines from around the world. 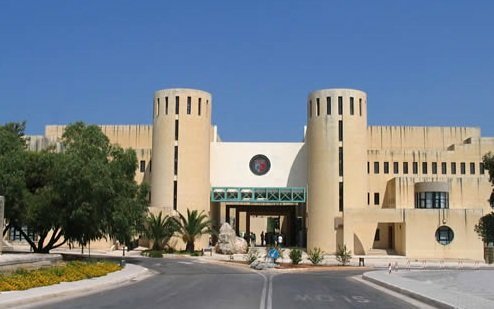 Students enrolled at one of Malta’s public universities can choose to stay at the Malta University Residence, located in the small town of Lija. It’s about 4km from the main University of Malta campus, with direct transport provided (plus a private swimming pool). Other options for accommodation in Malta include private apartment rental or staying with a local host family. Each university’s international office and student support teams should be able to help.